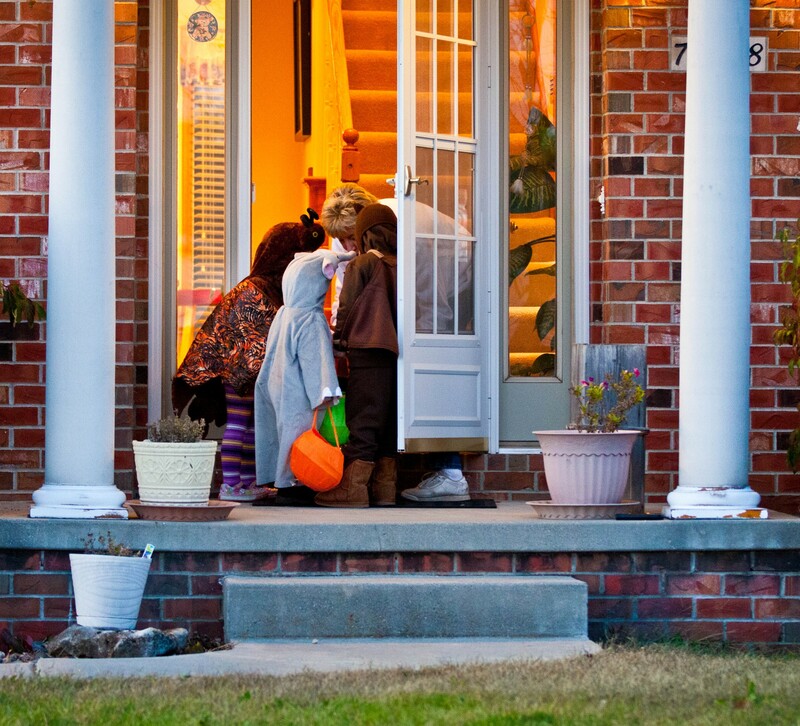 Though trick-or-treating can be a fun family outing, parents have a lot to contend with. From the increased foot and vehicle traffic, to kids running ahead of you, parents may need some help making it through what can be a long two hours of craziness outside in the d-d-d-dark. We’ve gathered a few age-appropriate tips on etiquette and safety to make this the most non-scary Halloween (for parents) yet! Ages infant through age 4 obviously need additional supervision when trick-or-treating. To make them bright and noticeable in the dark of night, include glow sticks or reflectors on their costumes. This doesn’t have to ruin the costumes. With a little creativity, the reflectors could actually contribute to the costume and add a unique twist. If you live in rural areas, you can look into other types of social gatherings for kids like trunk-or-treats and parties at local businesses or churches. But let’s face it, neighbors love to see the little ones dressed up and festive. Plus the kids are very excited to get outside and collect their coveted chocolate treasures. Ages 5 through 9 are still the perfect age for trick-or-treating but safety can be an issue, especially with excited kids who may want to run ahead of you. Repeatedly remind your children of sidewalk and street crossing safety beginning the week before Halloween so it becomes automatic in the child’s mind. Constant reminders on looking both ways before crossing the street cannot hurt and is better to remind too much than not enough. Again, going overboard with glow sticks and reflectors isn’t a bad idea. One fun idea is to use glow in the dark make up instead of the regular Halloween kind. You also may want to travel with your trick-or-treaters. Remind them to mind their manners as some neighbors only like to see the little ones, however if older children are very polite, it will remain an enjoyable experience for all. Ages 10 through 15 are tricky! Some kids are smaller in stature and can totally get away with dressing up and trick-or-treating with no problem. Still others look a lot older than their actual age. My opinion is as long as they are in an actual costume, are aware of their surroundings, and are being kind and courteous, it is fine for them to trick-or-treat. Assign them to groups and be sure they have a watch or are able to use their phones to check in and keep track of time. They are still kids and you can’t blame them for still wanting candy! To keep them in line, make sure they know the rules and understand the consequences of not following them. Food allergies Kids and parents should always be on the lookout for the teal pumpkins in the neighborhood. 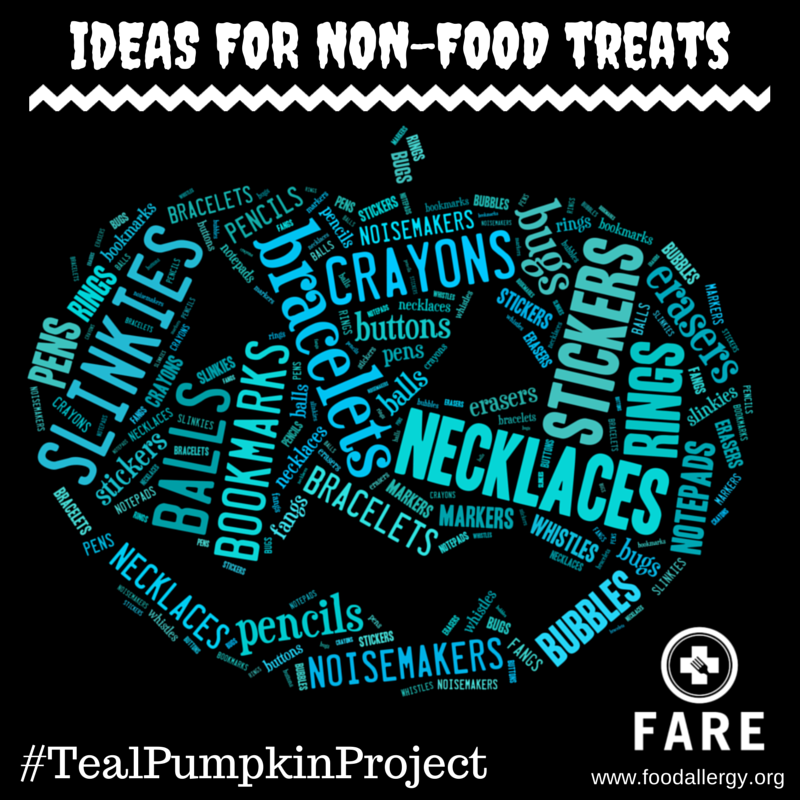 This is a project the Food Allergy Research and Education Organization (FARE) is implementing to bring awareness to the growing issue of food allergies, and to urge citizens to provide a candy alternative. Houses with a teal pumpkin are offering non-food treats, such as toys, to help each child feel included this Halloween. Kids of all ages love Halloween treats and parents (be honest) love to sneak the candy when their kids aren’t looking. So have fun, be safe, and let some of the fear come out of Halloween this year. Click here for more Halloween safety tips.